San Pedro Get Ready! It’s ABC Pre-School’s Annual Extravaganza! Join the fun on Saturday, April 20, 2013 at the Angel Nuñez Auditorium. 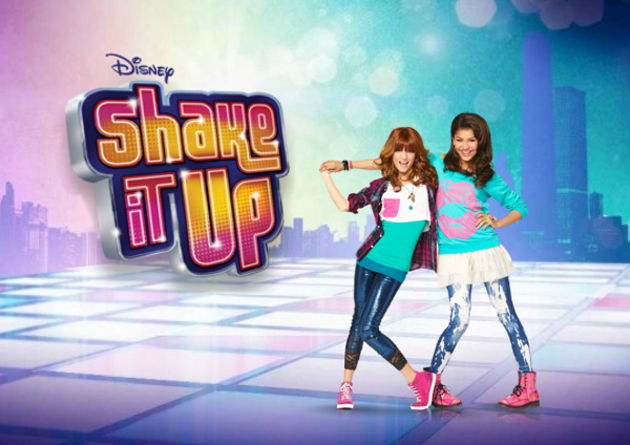 It’s a live concert starting at 7pm with your favorite teen icons. It will be a fun filled night with lots of surpises! 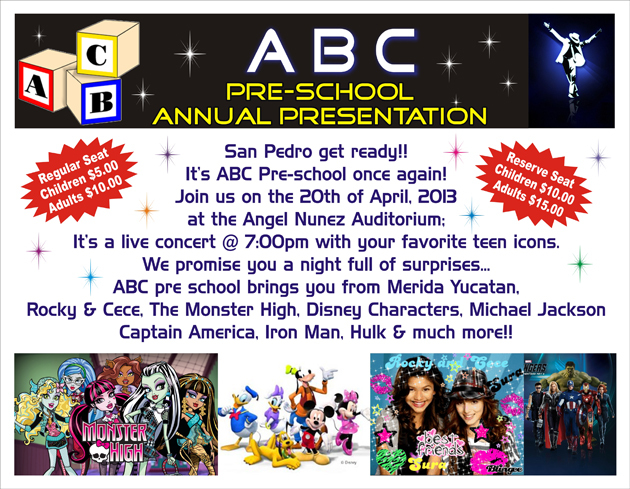 ABC Pre-School brings to you from Merida, Yucatan – Rocky and Cece, Monster High, Disney Characters, Michael Jackson, Captain America, Iron Man, Hulk and much more! So mark your calendars and be sure to attend this spectacular show brought to you by ABC Pre-school!